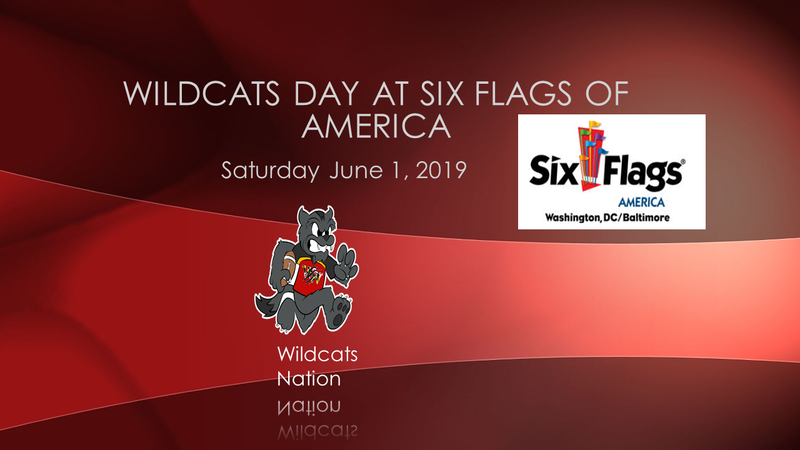 WALDORF WILDCATS DAY AT SIX FLAGS AMERICA!!!!!!! Tickets include: admission, full lunch at a pavilion, Parking and a Wildcats t-shirt for all 2019 registered athletes. All are welcomed…bring along friends and family members for a fun filled day at the park with your Wildcats Family! Tickets are on sale now through until Wednesday May 15th via the registration website!! !